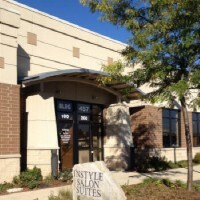 InStyle Salon & Spa Suites offers private suites for those that want to own and run their own salon or spa businesses. Affordable, well appointed suites for the beauty industry. Five convenient locations in the Chicago land suburbs. InStyle Salon & Spa suites allow beauty professionals to take charge of their career and join the many smart beauty professionals in renting an affordable salon suite. Clean, attractive, fully equipped salon suites with move-in ease. You supply the talent! Excellent for Nail Technicians, Hair Stylists, Barber, Aestheticians, Cosmetologists and Massage Therapists.